Silent Hill 8, originally announced and trailered at E3 2010, has had a title change. The game, in development at Vatra Games and set to arrive later this year, has been officially titled Silent Hill: Downpour. The latest issue of Game Informer has a new preview on the title. The demo shown to the magazine took place in the outskirts of Silent Hill. Apparently, the town is so large that the developers implemented a subway system for players to travel between points. 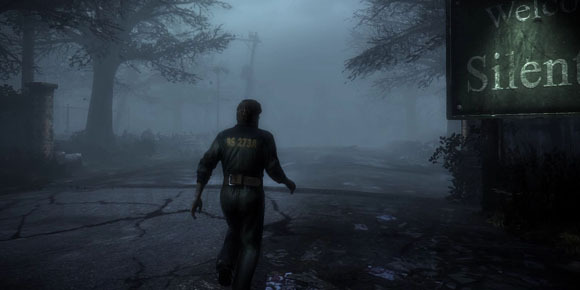 The area explored in Downpour is the southeastern part of Silent Hill seen on maps, but never explored, in past games. Locations such as schools and hospitals will not return. There will be various side-quests for the player to take on. On combat, players can avoid fights when it’s possible (run, scaredy cat, run). Boss battles, on the other hand, aren’t avoidable and will enforce quick-time events when needed. Weapons used against enemies will weaken and break; there is no weapon inventory. As the title may have suggested, water plays a huge role in Downpour. It’ll be to the game what ice and snow were to Silent Hill: Shattered Memories.